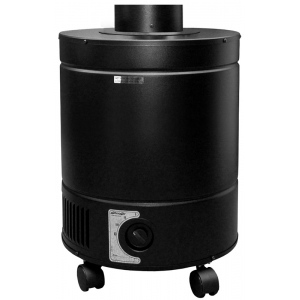 This unit is designed to treat volatile organic compounds, odors and other airborne pollutants. It features a 24 lb. vocarb-blend carbon filter, an easy-clean pre-filter and a medical grade HEPA filter which removes 99.97% of all airborne particles down to 0.3 microns. * Shipping Weight: Approx. 57 lbs. * Operating Weight: 53 lbs.